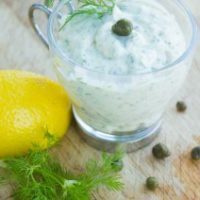 This is a light dill tartar sauce recipe that has all the flavors you love in a classic tartar sauce, only made lighter and fresher. 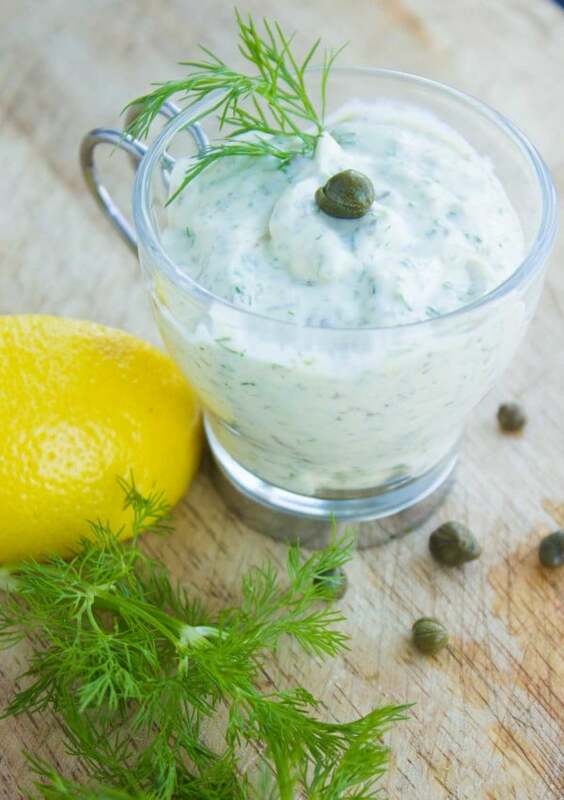 It’s made with sour cream as a base and is loaded with fresh dill, parsley, capers and honey dijon mustard. 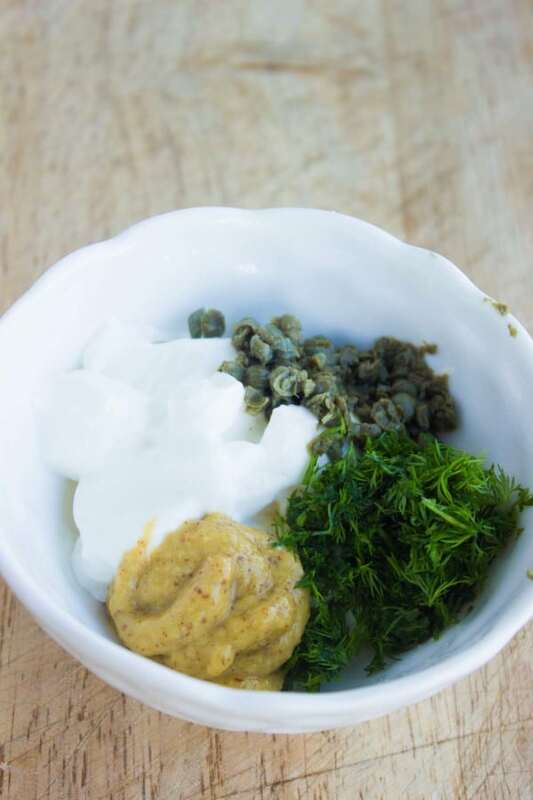 A bowl and a spoon is all you need to mix this lovely sauce up and serve it alongside your favorite seafood delicacies.This is another quick sauce that only needs the chopping and mixing of a few ingredients, but yields an incredibly good sauce that will make you create endless ways to serve it! My favorite would be with the zesty calamari with tartar sauce. 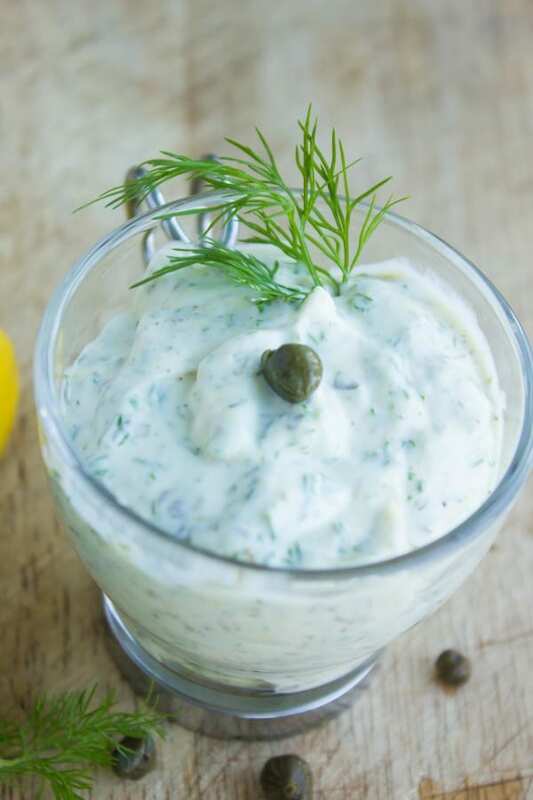 I love spreading it on sandwiches, serving it as a dip for grilled veggies or fresh veggies, on the side of grilled fish and actually my second favorite would be having this light dill tartar sauce as a dip with some french fries! Ok I’m not trying to give you bad ideas, but I suppose since it’s made with light sour cream you can use that excuse to have it with fried goodies right? 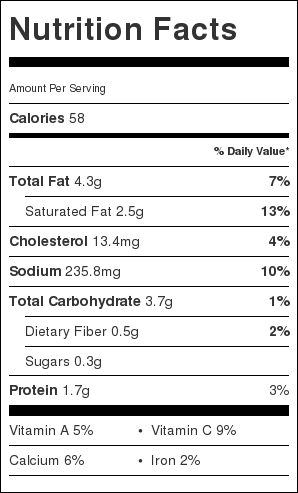 In a bowl, mix all ingredients and serve.